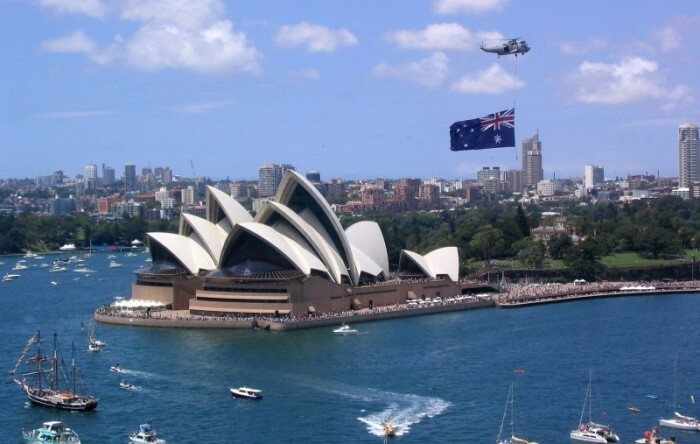 Australia Day is the official National Day of Australia and takes place on January 26 each year. Australians commemorate the arrival in 1788 by Captain Arthur Phillip with his First Fleet of British Ships at Port Jackson. Australia Day is celebrated in many ways all over Australia. Sydney was originally a penal colony for law breakers in Britain as their jails were too overcrowded. Their target was to segregate convicts from the general population. The first colony got off to a tough beginning because of the harsh conditions that were so different to Britain. As a sense of patriotism, the people began to consider January 26 as their founding day. In 1818, January 26 was declared a legal holiday, marking the 30th anniversary of the British settlement in Australia. Australians consider January 26 with national pride, flying the Australian flag from businesses, cars and homes. They attend fireworks, festivals, community and sporting events and have barbecues at homes, parks or on the beach. •Sydney Ferrython is a unique race that begins at 11 am, when ferries leave from Circular Quay for Shark Island and back to Sydney Harbour Bridge. •The spectacular 21-Gun Salute to Australia takes place at 12 pm at Bradfield Park. •The Australia Day Harbour Parade, The Tall Ships Race and the Australia Day Regatta starting at 12:45 pm, goes until 1:30 pm with colorful ships & boats of every type line up. And what’s going on in Melbourne? •The Australia Day Parade is preceded by a flag-raising ceremony at 10:30 am, at Melbourne Town Hall. •Melbourne RACV Picnic and Federation Vehicle Display is a classic car show from 10 am until 3:30 pm offering delicious food and free activities. •The Australia Day at Docklands is a day-long celebration, which starts at 12 pm, including special performances, live music, and free activities.